WEST PALM BEACH, Fla. — Over the winter, Dragway 42 which is known by competitors as “Northern Ohio’s Place to Race” made a huge investment to resurface the track that will put on one of the best shows when the International Hot Rod Association (IHRA) Summit Sportsman Spectacular heads to the first-class facility. The double-race weekend will be June 8-10 at Dragway 42, West Salem, Ohio. The event features huge payouts of $10,000-to-win on Moser Engineering Saturday and $5,000-to-win on Sunday. IHRA Ironman trophies and large championship checks will be presented to event champions on Saturday and Sunday. IHRA partner Imagine That Customs will also award a custom painted one-of-a-kind display helmet to one competitor that weekend. The biggest value comes for racers who pre-enter for the event. All pre-entered competitors will get a buy one / get one free offer. When you pre-enter and buy an entry for Saturday’s race, you will get a free entry for Sunday’s race. All pre-entries from the originally scheduled event in March will be honored for the weekend. Pre-entries are available until May 28. Click here for online registration. On-site entry fees are $150 for Moser Engineering Saturday with a $10,000-to-win payout, $2,000 for the runner-up, $1,000 for the semifinals, and $100 per round starting with Round 3 winners. For Sunday, entry fees are $100 (for anyone not pre-entered) with a $5,000-to-win payout, $1,000 for the runner-up, $500 for the semifinals and $100 per round starting with Round 3 winners. 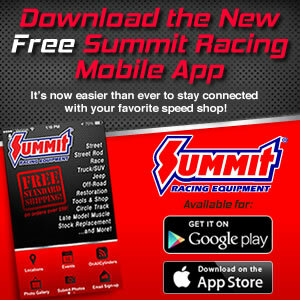 In addition to having the opportunity to get two races for the price of one, Summit Racing Equipment, whose headquarters are just down the road in Tallmadge, Ohio, provides a set of unique bonus opportunities for all current IHRA Summit SuperSeries racers. There are cash bonuses for the Summit SuperSeries member that goes the furthest in eliminations or wins the event. The weekend program includes a test & tune, racer appreciation cookout, and the entertaining Scrubblade golf cart race. The race weekend features several rounds of prizes awarded to the best losing package of first through third rounds. Runner-up finishers will receive prestigious medals as part of their prize package. Visit IHRA.com and dragway42.com for more information.